The issue was supposed to change an industry — but did it move the dial? Vogue Italia’s July 2008 issue showcased and celebrated black models and black women in the worlds of art, politics and entertainment — in an entire issue of an internationally acclaimed international edition. There was immediate excitement about the “Black Issue” — the original run of the issue sold out in the United States and the United Kingdom within 72 hours. An extra 30,000 copies were printed for U.S. newsstands, and 30,000 more were made available for European newsstands. In our post-President Barack Obama world, it’s difficult to overstate what a visceral and cultural impact the Black Issue had on readers — African-American ones in particular. Hardison, who guest-edited an editorial feature in the issue, said that in 2008 it was a big deal to have the issue come out. 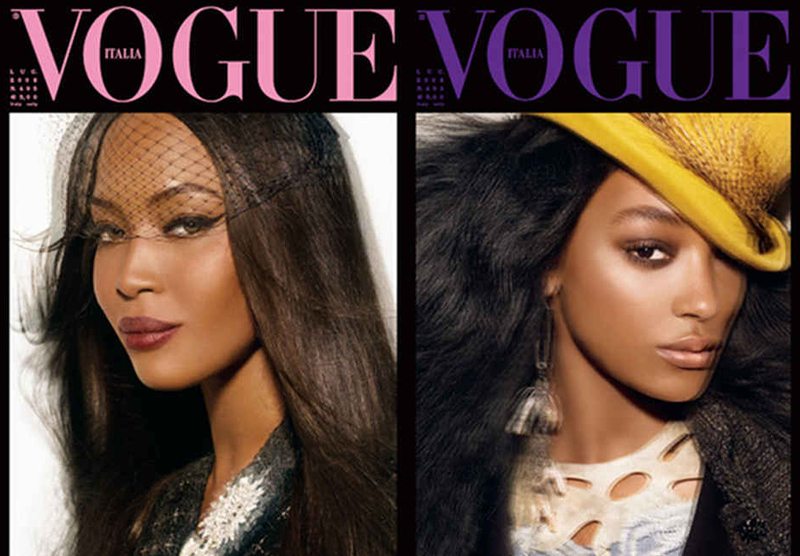 Four separate covers were shot for the Black Issue, each a classic and colorful portrait of the most popular black supermodels of the day: Naomi Campbell, Liya Kebede, Jourdan Dunn and Sessilee Lopez. The covers were shot by the celebrated fashion photographer Steven Meisel, and the models were styled by Edward Enninful, the Ghanaian-British stylist/tastemaker who is fashion and style director of W Magazine. Hardison gives credit to the pioneering spirit and gutsy editorial judgement of the magazine’s longtime editor-in-chief, Franca Sozzani, who “has always been unafraid of controversial topics. She uses her platform to discuss social and environmental issues very candidly,” Hardison said. And Meisel used the 100-plus interior pages of editorial space to feature models such as Campbell, Iman, Tyra Banks, Alek Wek, Pat Cleveland, Karen Alexander and Toccara Jones, among others.